Maximum of 50% of the courses/subjects taken in the first undergraduate degree may be credited towards the second undergraduate degree. 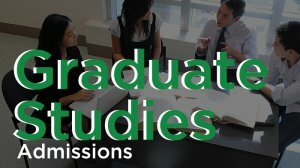 Enrollment must be for at least six (6) consecutive terms to earn a second undergraduate degree. Shifting to another program is not allowed. No failing grade must be incurred in the first term. The student is disqualified from earning academic awards upon graduation. 1.1 Completely filled out Pre-Application Form. 1.2. Application letter addressed to the Director of the Office of Admissions and Scholarships stating reasons for a second undergraduate degree. 1.3 Official Transcript of Records (TOR) with date of graduation. 1.4 Letter of Recommendation from Dean/Chair of the college/department where the first undergraduate degree was taken. 1.5 Certificate of Good Moral Character from the previous College/University. 1.6 Print and signed Consent Form. Each applicant will be provided with a Document Tracking System (DTS) Number to view/track the status of his/her application. 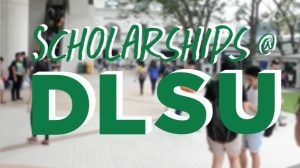 Courses taken in the first undergraduate degree may be credited towards the second undergraduate degree, provided that the number of units to be credited does not exceed 50% of the total number of units required by the program at DLSU. Accreditation of units or subjects taken from the previous university will be determined by the Vice-Dean of the College of De La Salle University upon acceptance to the program. If pre-qualified, the applicant must submit the Online Undergraduate application Form to the DLSU Enrollment Services Hub (ESH), 2nd floor Henry Sy, Sr. Hall. Pay the non-refundable application fee of Php600.00 (Filipino and Dual Citizens) or Php2500.00 (non-Filipino or International students). Attend the interview which will be scheduled with the Office of the Vice Dean of your respective College. Interview schedule will be sent via e-mail. If qualified, secure the Certificate of Acceptance from the Office of the Vice Dean. Submit the Certificate of Acceptance to the Office of Admissions and Scholarships and secure the Confirmation/Enrollment Procedures.